昨晚剛做了BBQ PORK SPARE RIBS, hohoho, 過兩日再做橙味先得! 謝謝分享...我最不懂挑橙, 既然Christine說是橙甜的時候, 我也要到market買買橙至得...!我剛到這裏,你的口味很合我呢...i come from HK, living in Melbourne! 想問食譜上的白酒, 是不是白葡萄酒, 還是米酒, 如果我沒有白葡萄酒, 可以用米酒或者玫瑰露酒代替嗎? Christine, I often ask the same question and hope that you don't feel bothered by it. Can I cook this in the slow cooker? I work full time, so it will be nice if I can find all the recipes that can be cooked in the crock pot. I just wanted to thank you for taking the time and effort posting all these yummy recipes for public. That's a huge sacrifice. I do appreciate your sharing your talent with many of us. I am just hungry by looking through your post every time. Thanks! Of course, you can use a slow cooker. It's perfect to make this dish too. The flavours will be intensified and meat will be very tender. My pleasure to share what we like to eat. Thanks for your kind words. Based on the recipe, I would have to pre-cook the ribs for further cooking in the pot. 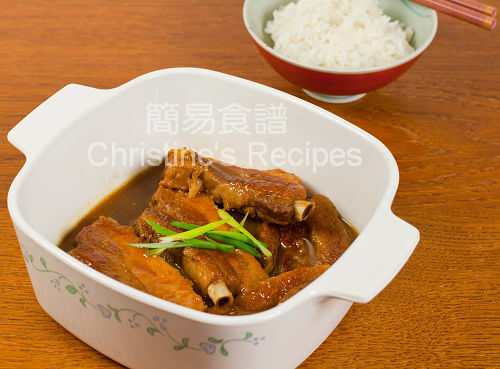 How should I go about using the slow cooker with this recipe? Should I just put all the ingredients in the crock pot? Would I have to prep for anything first? Thanks! Does your slow cooker have saute function? 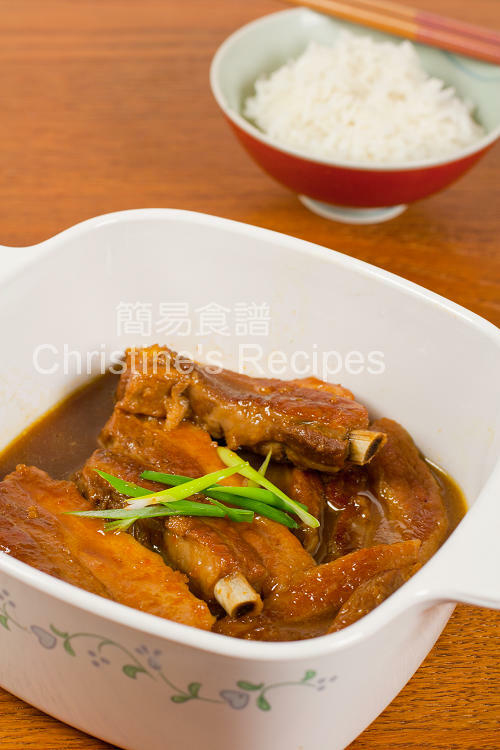 If not, you can panfry the pork ribs in a frying pan until brown, then transfer the ribs with other ingredients in your slow cooker. The method is similar to the instructions in this recipe. This helps bring up more flavours and develop a nice looking of your cooked ribs.